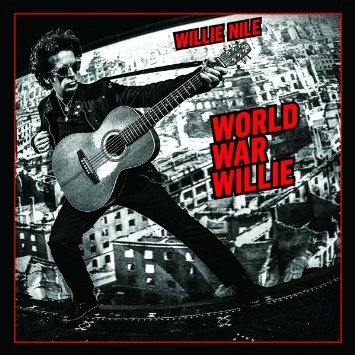 Willie Nile, the rocker’s rocker, has returned with a new album titled World War Willie. He has always been able to fuse his unlimited energy with his ability to create incisive and relevant lyrics and his new release carries on this tradition. His new album provides a counterpoint to 2014’s If I Was A River, which was a laid-back piano based affair. Now, with his new release, he returns to a fiery brand of rock and roll. Backed by his long-time band of lead guitarist Matt Hogan, bassist Johnny Pisano, drummer Alex Alexander, plus an assortment of friends; he blazes through 11 original songs and one cover piece. It all adds up to one of the finest albums of his career. Nile is now 67 and several of the tracks reflect his age. “Grandpa Rocks” is both humorous and realistic. His tributes to lost friends Levon Helms; “When Levin Sings,” and Lou Reed, with his take on “Sweet Jane” are poignant, heartfelt, and a look toward inevitability. Nile has always been able to create rock music that has bite and meaning. The album cover features a photo of Nile pasted against a picture of the destroyed city of Dresden during World War II. “Forever Wild,” “Let’s All Come Together,” and “Trouble Down In Diamond Town” expand on this stark background image as Nile puts his thoughts and visions into his music. “Runaway Girl” and “Beautiful You” slow the tempo and are examples of his picturesque storytelling. “Tracks such as “Hell Yeah,” and “Citibank Willie” are joyous romps through the mind and music of Willie Nile. World War Willie is one of the better albums of the first half of the year. Not only does it feature Nile’s identifiable fusion of late 1970’s punk with classic rock but does so with energy, passion, reflection, humor, and even a little redemption. It proves Grandpa can still rock! Bassist/vocalist Martin Turner will always be associated with the classic rock band Wishbone Ash who reached their height of popularity during the 1970’s. They were one of the first band to use twin guitarists, which set a format for many hard rock bands that followed. Martin’s bass lines and vocals helped to establish the bands distinctive sound. Wishbone Ash split and reunited a number of times down through the years and there has been a revolving door of members. Recently Turner toured under the name Martin Turner’s Wishbone Ash until a court battle with another original member forced him to drop the band’s name. His new studio album includes the backing of his road band; including guitarists Danny Willson and Misha Nicolic, plus drummer Tim Brown.. While touring with Martin Turner’s Wishbone Ash, he would usually play classic songs from the band’s catalogue. His new album with newly created originals is an extension of that Wishbone Ash sound. The twin guitars, Martin’s strong bass lines, and tight harmonies all add up to a release that should please any fan of the band. Songs such as “The Beauty Of Chaos,” “Vapour Trail,” “Falling Sands,” and “Interstellar Rockstar” may not change the rock and roll world but they are well-crafted and make it more pleasurable. 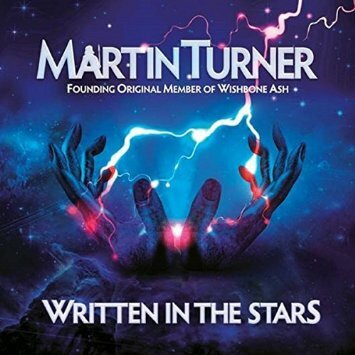 Martin Turner has reached back into his past to create a solid album of hard rock. Written In The Stars is well-worth a listen for any fan of hard rock. One of the great voices in rock music has returned with a new album titled Soul Shadows. 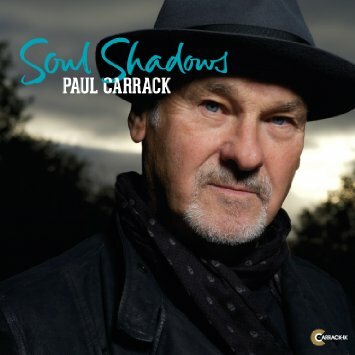 Even if you are not familiar with Paul Carrack’s solo work; if you are a fan of rock music, you have heard his voice due to stints with Roxy Music, The Squeeze, Mike & The Mechanics, and Ace. Classic songs such as “How Long” by Ace,” “The Living Years” and “Silent Running” by Mike & The Mechanics, and “Tempted” by Squeeze all bear his vocal stamp. His last album, 2013’s Rain Or Shine,” featured both original compositions and a number of covers. Now with Soul Shadows, he has returned to his songwriting ways as only one of the 11 tracks is not his and that is a tasty cover of the Bobby Blue Bland classic “Share Your Love With Me. Songs such as “Late At Night,” “Sweet Soul Legacy,” “Too Good To Be True,” and “Say What You Mean” now enter the melodic Paul Carrack musical lexicon. A first rate effort from a veteran of the music wars. When “My Love” by Petula Clark topped the Billboard Hot 100 Pop Chart on February 5, 1966, for the first of two weeks, she became the first British female to have two number one hits. She was not a flash in the pan. Her career began as a child singer during the second world war. It would be 22 years before she had her first American hit; “Downtown” in 1965. That song would be the first of 15 consecutive top 40 tunes. Now in her 80’s, she is still performing. 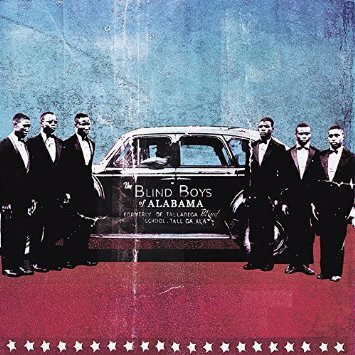 The Blind Boys Of Alabama were formed at Talladega Institute For The Blind in 1944. Their blend of gospel and blues made them stars on the gospel and rhythm & blues circuit during the 1940’s and 1950’s. During the 1960’s they gradually broke through into the mainstream and continue to record and tour down to the present day. Spirit Of The Century was originally released in 2001. It has now been remastered and issued with seven live bonus tracks. When they recorded the album, there were still three original members with the group. Jimmy Carter, George Scott, and Clarence Fountain were in their 57th year of membership. They usually toured with four singers and four backing musicians but here it is an all-star team with guitarist David Lindley and John Hammond plus harpist Charlie Musselwhite leading support. The Blind Boys Of Alabama are basically a gospel group whose vocals tend to move toward the blues. They are an example of where the blues and gospel intersect. They also take some modern tunes and move them in a gospel direction. The Rolling Stones “”I Just Wanna See His Face” and Tom Waits “Way Down In The Hole” and “Just Wanna Be Here” are not just covered but transformed. The seven live tracks, all from the album, were recorded at the Bottom Line during 2001. Songs such as “The Last Time,” “”Motherless Child,” and “No More” provide a nice counterpoint to their studio counter parts. Spirit Of The Century is gospel music for the new millennium. It is a sound deeply connected to American culture and well-worth exploring. Pete Seeger walked this earth for nearly 95 years. He was a radio personality during the 1940’s, a member of the early folk-revival group The Weavers, and as a solo artist spent nearly five decades promoting peace and the environment, writing such songs as “Where Hale All The Flowers Gone,” “If I Had A Hammer,” and “Turn Turn Turn,” plus resurrecting folk songs from around the world. Since his death, there have been a number of re-issues. 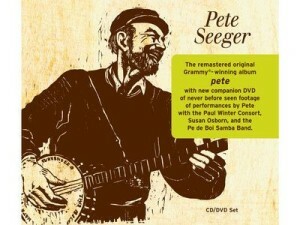 The latest is a remaster of his first Grammy winning album Pete, originally issued in 1996 at the age of 77. This release is combined with a DVD that covers 23 years of his career. First is a 55 minute live performance with Paul Winter and friends at the 1982 Living Music Festival in Litchfield, Connecticut. Next is Pete-nic, which is a 17 minute spontaneous performance, recorded at a picnic in 1997 by many of the musicians who had participated in the Pete project. Finally there is a 2005 performance of “Take It From Dr. King,” commemorating the 40th anniversary of the Pettus Bridge March in Selma, Alabama. Pete is probably the best of his late career releases. It combines traditional folk tunes, a number of covers, and two originals. “John Henry,” “Drunken Sailor,” “Roll The Old Chariot Along,” and “Old Time Religion” are the type of songs that have graced Seeger’s repertoire for most of his career. Songs that have no known author but have undergone changes due to time and place and Seeger’s interpretations are another link in their chain. The two originals, “My Rainbow Race” and “Well May The World Go” are poignant songs from a man nearing 80. Most of Seeger’s albums have been sparse affairs but here many of the songs are within a band setting, including sax, cello and guitars. It is a rare nod to the modern age by a traditional artist. The Living Music Festival live performance presents a 63 year old Seeger at the top of his profession. He is joined by The Paul Winter Consort and they form one big group. Seeger is relaxed and his banjo play is some of his best. The concert was recorded with three cameras and meant for release but sat in the vaults for 33 years. It is a highlight for any Seeger fan. Seeger was an uncompromising traditionalist. Many of his songs had a meaning and message. Pete-Pac is a celebration of culture meeting music. Tonight is Dave Insley’s release party at the White Horse in Austin, Texas, for the upcoming release of his new CD titled Just The Way That I Am. Insley, and his backing band the Careless Smokers, have been performing at the White Horse every Saturday night for almost three years. The venue suits his style as he is at heart a honky-tonk country musician. His press release says his vocal sound is similar to traditional country artist Ernest Tubb, which is fair, but his style is more in tune with old western swing country music; maybe not in the type of instruments used but in approach. His music is made for a bar on a Saturday night, when the drinks are flowing and the dance floor is full. His new CD reflects a dance party atmosphere – country style. From the opening chords of “Drinkin’ Wine And Staring At The Phone” to the closing “Everything Must Go” with stops at “Win Win Situation For Losers,” “Dead And Gone,” and “Footprint In The Snow;” it is a rollicking good time. 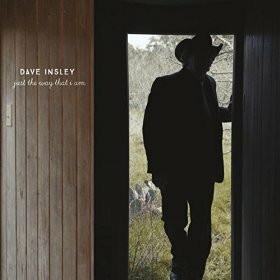 So belly-up; Dave Insley is back in town with a new album. You are currently browsing the Muskmellon's Blog blog archives for October, 2016.